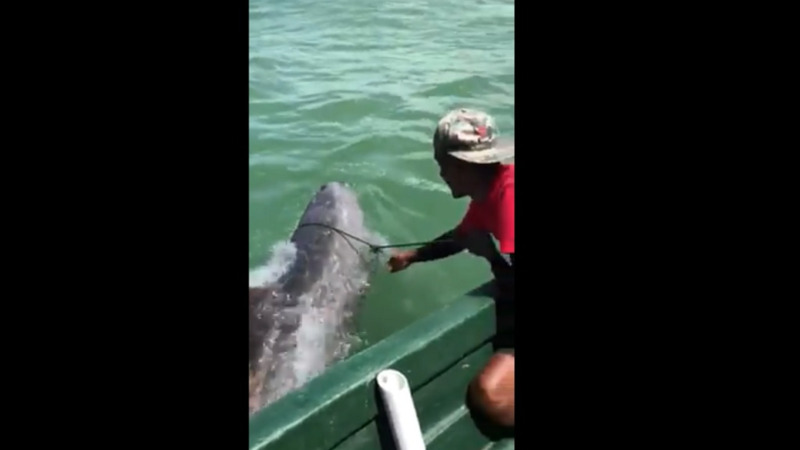 What started out as a regular fishing trip turned into an exciting rescue mission after happening upon a beached dolphin off Trinidad's south coast. Navin Kalpoo related the tumultuous event via a social media post on Saturday, showing videos of the dramatic rescue. "It all started out as a normal day of fishing with Kalpoo’s but they was catch, on our way out we stumbled across a strangled dolphin trying to get over the mud bank. 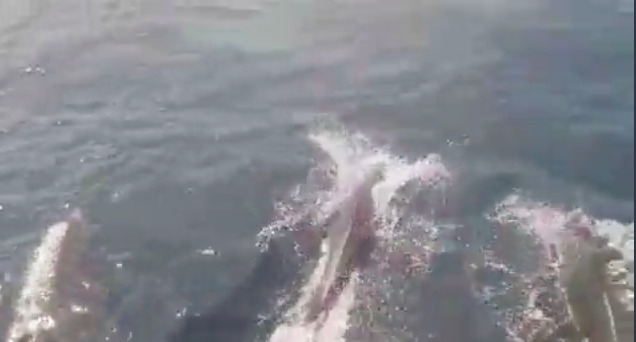 As a captain, seeing what was happening in front my eyes I know I had to act fast in order save this dolphin’s life because the tide was rapidly going down and it would only be a couple minutes until this dophlin would have been leave on the helpless mud flats." "It wasn’t an easy task because from the looks of it she didn’t know if we were trying to help her or harm her which is normal. Our first attempt in trying to get her in depth waters we realized that water was so muddy and musky that wasn’t able to see properly." "So we knew had to physically take her into depths (deeper) waters but the depth water was about 1 mile away from the mud flats and this would be a long, slow and extremely delicate journey. Eventually we got there my main concern now was about the injuries we found her with but we gave it our best with the little time we had leave." Kalpoo said they finally released her into deeper waters and she swam off. 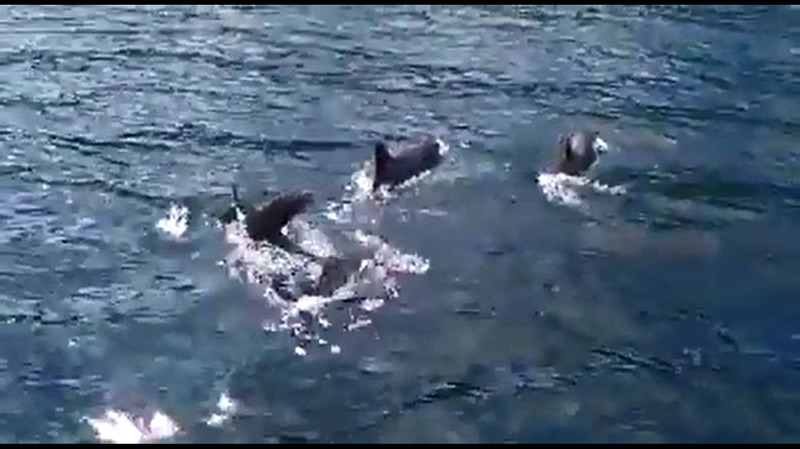 "We then released her and watched her swim into the deeper clearly waters. At that moment the happiness and joy I felt words couldn’t express my feelings it’s definitely going to be one for the books." "Thanks to Dave and his family for their patience and assistance on that day and special thanks to Captain Kristy Seemungal because without her this rescue wouldn’t have been possible," he said. It is not clear why dolphins and whales beach themselves (swim ashore to the point where they are unable to return to the ocean). Some scientists have theorized that a single whale or dolphin may strand itself due to illness or injury, swimming in close to shore to take refuge in shallow water and getting trapped by the changing tide. Because whales are highly social creatures that travel in communities called pods, some mass strandings may occur when healthy whales refuse to abandon a sick or injured pod member and follow them into shallow water. Scientists and government researchers have also linked the low-frequency and mid-frequency sonar used by military ships, such as those operated by the U.S. Navy, to several mass strandings as well as other deaths and serious injuries among whales and dolphins. Military sonar sends out intense underwater sonic waves, essentially a very loud sound, that can retain its power across hundreds of miles. 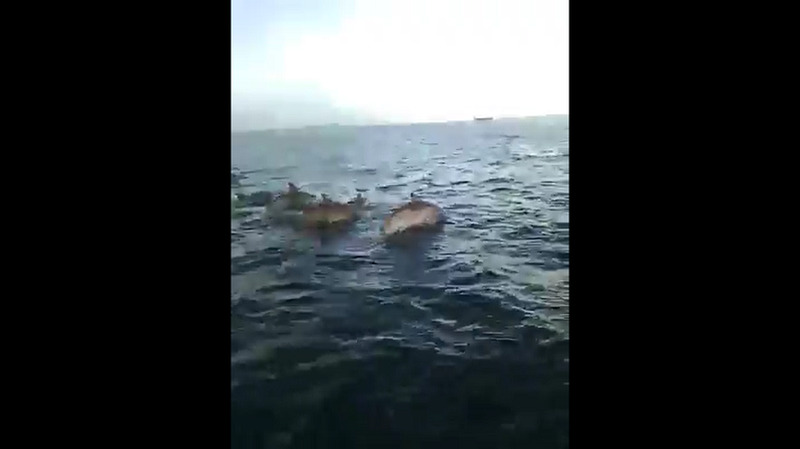 Watch: Barbados has some flipping neighbours - Bottlenose dolphins!